Sleek and modern 2-story features a 2-story Great Room with a wall of tinted windows w/ wood burning fireplace, all new laminate flooring on the main level (2018), all new carpeting on the 2nd level and steps to 2nd floor (2018), professionally painted interior with the new grays in 2018, and new roof/gutters in 2017. Fabulous kitchen features professionally painted white cabinets (2018), new solid surface counters(2018), center island, nickel finishes, recessed lighting, and SS appliances. Plus a large breakfast/dining area with bump out for a hutch or more storage. Main flr laundry. Master suite completely remodeled w/ new lighting, paint, barn door to bthrm, & an amazing luxury bath w/ tile floors, walk-in tile shower, & dual vanity. 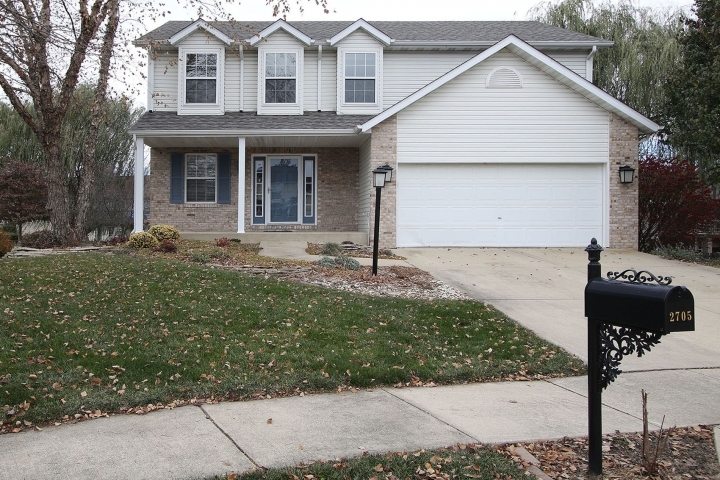 Finished walkout LL w/ walk-up wet bar and plenty of living space. New in March 2019: HVAC system & hot water heater. Irrigation system, fenced in yard, and cul-de-sac location. This is a MOVE-IN ready 3bd/3bth home waiting for you to call it "HOME"!